GFS op barely gives our region a look in but is the most northerly model of the lot. Ukmo and ECM broadly similar for Thursday with a decent snow event, maybe turning a little mixed at the start and end, especially close to coasts. Icon still the most south of all, decent snow event for most again away from the coast. Tonight is nowcaet, but remember the models did t exactly do well with that trough last week did they?? Timing and upstream reports will help us a lot today. What's your opinion on tonight, kold? 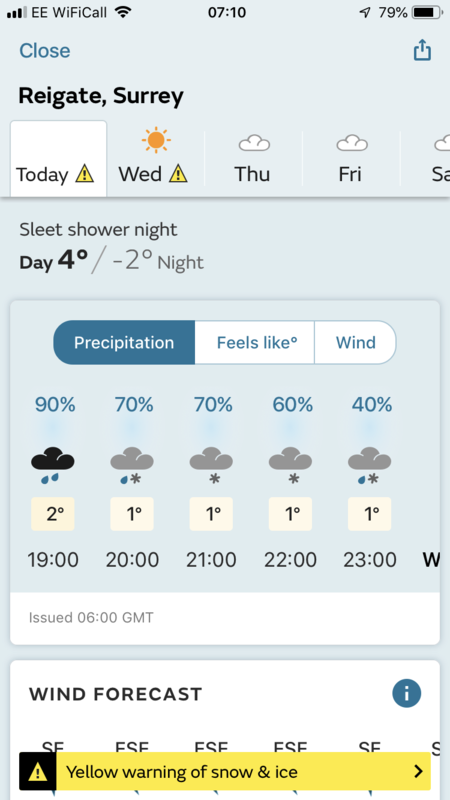 Looking at bbc's forecast it looks a lot of rain before some sleet or snow but I understand they use high res models and they often underplay precipitation? Reckon it'll be a day of nowcasting and watching the radar or? Chilly start across the region, most places at or below freezing. 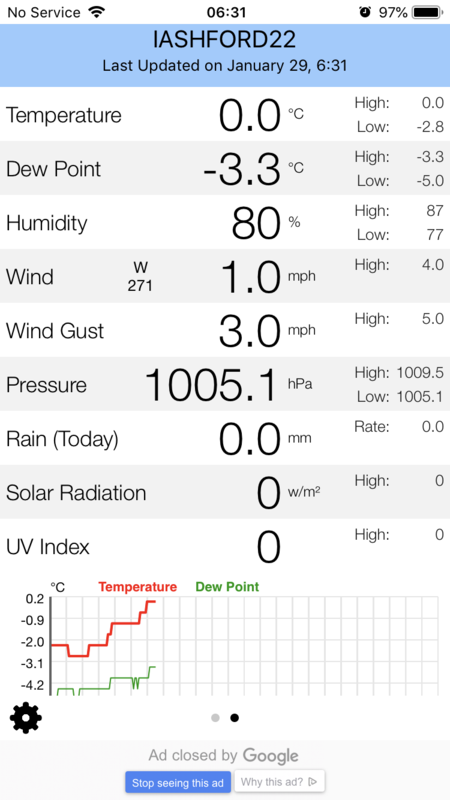 Hopefully, temperatures won’t rise too much today. So did I? It's warmed up a lot over night. Thursdays looking good for everyone even had some wet snow this morning. Hi All , Always been a reader and a very minimal poster ! 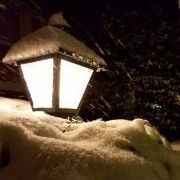 based in Borough Green north downs way so some hoping I'll get to see some of that snow this week . Still learning everything and appreciate everyone's efforts. If there is any snow this evening/overnight looks like the North West of the region, Cambridgeshire and Bedfordshire, have the best chance. This is according to the latest MO forecast. It can’t be good for everyone jay! 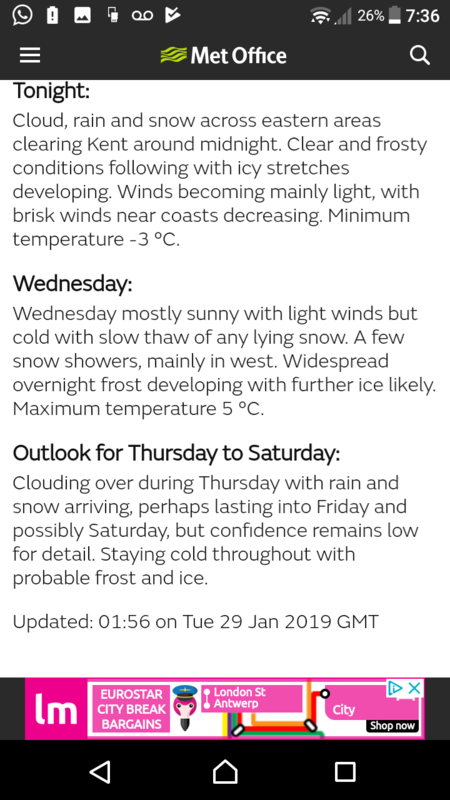 Let's hope so, but reading the latest forecast on the met office site, it doesn't sound too promising for us. Let's just hope for a nice surprise! Both the BBC and Metoffice forecasts don't look great for tonight. I wouldn't pay any attention to either to MO or the bbc at this point. Just keep looking at the radar !! It's a nowcasting event in my opinion, anything from nothing to 5+cms as you said depending on specific timings and trajectory etc. Cold weather and snow always brings the best and worst out of people..
To be fair I'll be happy with just a covering of it at this point. What? This forecast? We've had several years in a row in the past when never had a forecast like this. It's as good as it gets given the marginal situation.